 The idea of Warsaw Center of Mathematics and Computer Science is inspired by the Warsaw School of Mathematics founded in 1920's, which main achievements were in the the fields of logic, set theory, point-set topology and real analysis. Notable members of the group were Kazimierz Kuratowski, Alfred Tarski and Wacław Sierpiński who are the characters depicted on the blue posters promoting WCMCS. The other members of the group were Edward Marczewski, Bronisław Knaster, Zygmunt Janiszewski, Stefan Mazurkiewicz, Stanisław Saks, Karol Borsuk, Roman Sikorski, Nachman Aronszajn, Samuel Eilenberg, Stanisław Leśniewski, Adolf Lindenbaum, Jan Łukasiewicz, Andrzej Mostowski, Aleksander Rajchman, Antoni Zygmund, Józef Marcinkiewicz, Otton M. Nikodym and Jerzy Spława-Neyman. They published in the journal Fundamenta Mathematicae, founded in 1920. The mathematical notions highlighted on the posters of WCMCS concern Kuratowski's characterization of planar graphs as those which do not contain the full graph on 5 vertices (a 5-clique) or (3,3) bipartite graph, Sierpinski's construction of plane fractal known as Sierpinski carpet, and Banach-Tarski paradox which concerns decomposition of a 3-dimensional ball that yields two balls of the same size.